Wrecking a power market and a power grid is a piece of cake: just add massively subsidised, unreliable and intermittent wind and solar. Ontario, Denmark and Germany provide pertinent examples. But there’s none better than Australia, particularly because it’s blessed with abundant coal, gas and uranium reserves, the envy of the World. 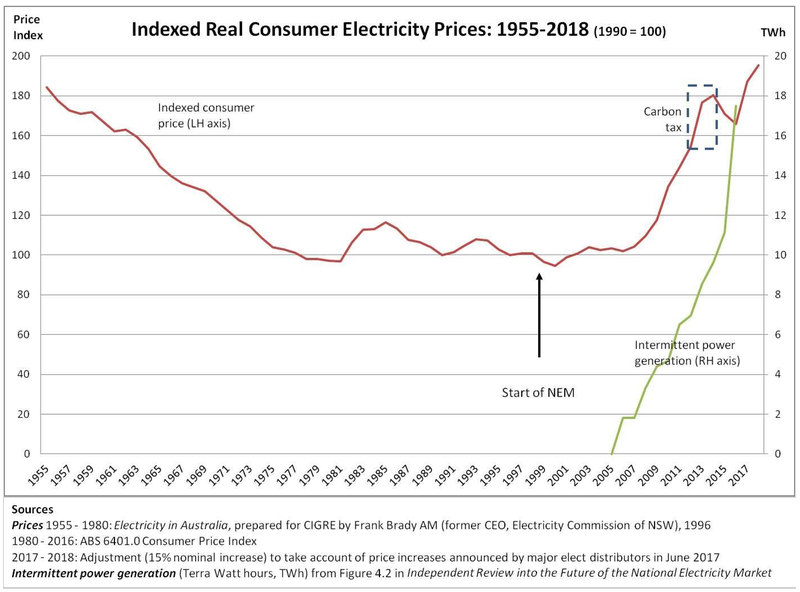 Hijacked by renewables rent-seekers and infiltrated by eco-zealots, all levels of Australian government are complicit in its power pricing and supply calamity. Under the guise of saving the country from so-called ‘climate change’ (which was previously known as ‘global warming’, until the evidence ceased to support that little theory), Federal and State governments have all created Soviet-era quotas, mandates and targets. The Federal government fuelled the fire by guaranteeing $60 billion worth of subsidies to wind and large-scale solar under its Large-Scale RET; the cost of which is all borne by Australian power consumers.